The Supreme Court has issued notice in a special leave petition which raises the issue whether Section 143-A in the Negotiable Instruments Act, has retrospective application or not? This provision, which was introduced last year by an amendment, gives power to the Trial Court to direct the accused to 'pay' an interim compensation which cannot be more than 20% of the 'cheque amount'. The interim compensation has to be paid within a period of sixty days of the order. It can be recovered in the manner of recovery of fine as provided in Section 421 of the Code of Criminal Procedure. The provision further states that the interim compensation so received has to be returned by the complainant along with interest at bank rates as prescribed by the Reserve Bank of India, if the accused is acquitted after trial. In this case, the Fast Track Court-II, Metropolitan Magistrate, Egmore, Chennai had directed the accused to pay the 20% of the cheques amount as interim compensation payable to the de-facto complainant. The issue of retrospectivity is not seen addressed in the High Court order that upheld the Magistrate's direction. 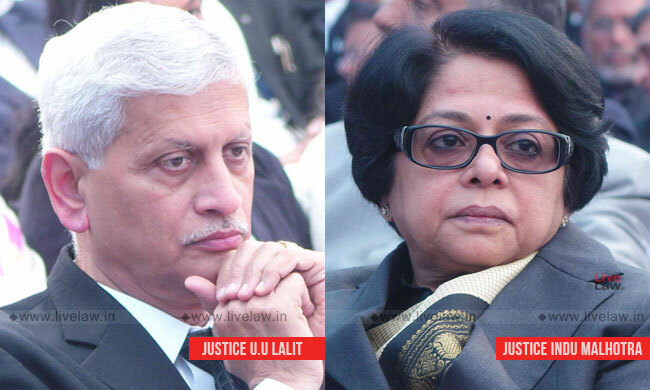 The SLP filed against this order came for admission before the bench comprising Justice Uday Umesh Lalit and Justice Indu Malhotra. The matter has been posted on 1st July 2019.The bench ordered: "As an interim measure, we direct the petitioner to deposit the sum, namely 15% of the cheque amount, in CC No.7171 of 2018 in the II Fast Track Court – Metropolitan Magistrate, Egmore at Allikulam, Chennai. The money shall be deposited within three weeks from today. Upon deposit, the money shall be invested by the Court in question in a fixed deposit initially for a period of three months with auto renewal facility. The money shall not be made over to the other side till further orders." The Punjab and Haryana High Court had recently held that the Section 143A of the Negotiable Instruments Act has no retrospective effect whereas the Section 148 will apply to the pending appeals pending on date of enforcement of this provision.